As you know we’re working on putting vehicle services online. This will allow customers to notify DVLA electronically of a change of keeper and to be able to take a registration number off and put onto a vehicle. 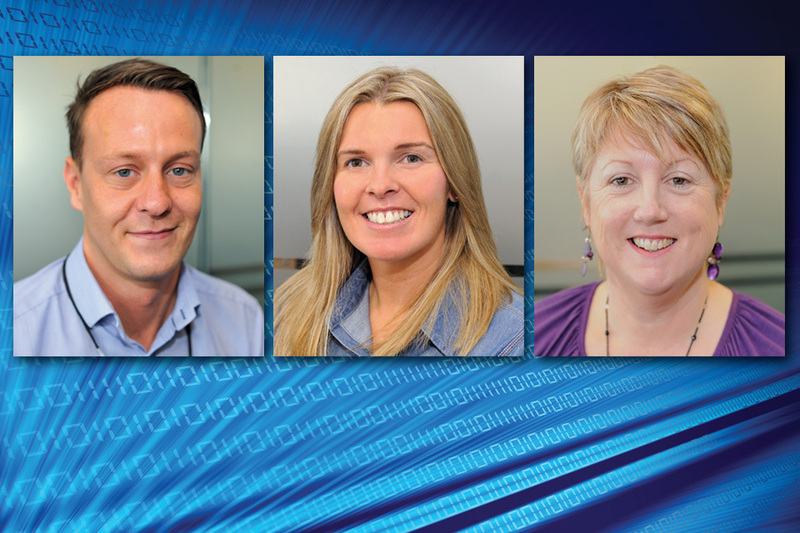 This month DVLA’s communication team met with Julie Riseley, Product Owner for Vehicle Management (VM), Louise Pierpoint, Product Owner for Personalised Registrations (PR) and Ross Gregory, Delivery Manager for both VM and PR. We asked them to tell us a little bit about their roles? The team led by Julie, Louise and Ross are working with colleagues from DVLA and system developers Valtech to develop these online services to benefit our customers. Julie and Louise lead on VM and PR while Ross works with the developers to deliver the services. What services are your team developing? DVLA is currently developing personalised registrations and vehicle management services, these are Government Digital Services (GDS) digital exemplars. How is your team working to deliver these new services? The team of 48 which includes DVLA and Valtech staff, work in an agile environment. This allows us to develop ideas quickly into workable solutions, using expertise from the business to allow us to react, review and improve prototypes. Agile allows us to work in short, sharp sprints, reviewing progress on a daily basis and focusing on key tasks to meet the delivery schedule. Who are your main stakeholders? How do you keep in touch with them to make sure they are up to speed with everything? As well as DVLA’s business areas, we’re in regular contact with our stakeholders who include vehicle traders, dealers and fleet companies. We have regular meetings with the Society of Motor Manufacturers and Traders and the 18 motor organisations represented at the *Industry Liaison Group (ILG). 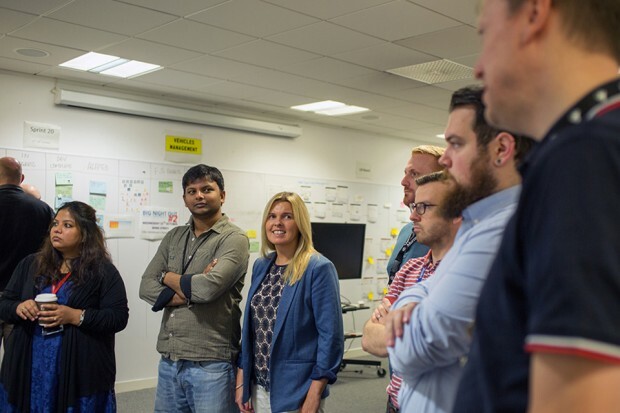 Our customer insight team also carry out usability testing and visits to demo the prototypes we’re developing and gathers the valuable feedback we need on the user requirements. This helps us in our development of the systems we’re building. Blogs from Jamie and Kelly are good examples of this. What are the business benefits of working with stakeholders? By working together we can deliver online services that work for everyone. We can discuss any changes that need to be made, resolve any issues that crop up and identify opportunities to help one another. It’s been a steep learning curve for all of us. As well as reaching out to our stakeholders, commercial customers and suppliers for information on what they need, we’ve had to work very closely with colleagues in DVLA from across the business. Their knowledge of the transactions and working processes is vital as it will allow us to get the services we’re delivering right for both our customers and DVLA internal processes. We also have to consider the cross over with other projects e.g. the ‘retaining a vehicle registration number’ online transaction will complement the ‘selling a vehicle to the trade’. What’s on the horizon for VM and PR? In phase 1 we expect the 5 online transactions to be in public beta phase by March 2015, this is in line with the exemplar deadline. More vehicle transactions will follow in 2015 e.g. notification of a change of address, change of details and export. Is there a particular message you would like to give to put across to customers and stakeholders? We actively seek the views of our customers and stakeholders to help us deliver the services that meet user needs. We do listen and we need you to help us deliver a service that you will always choose to use. * ILG meets twice a year to discuss matters of mutual interest, to promote collaborative working and identify opportunities to provide stakeholders and customers with more modern and efficient services. Eighteen motor industry organisations are represented on the ILG, including the SMMT. In addition, ILG members, (and many of their own members) are on the Agency’s consultee lists, which gives another opportunity to comment on proposals and shape the development of policy.